The equipment features a special attachment to follow the contour of the pipe O.D. It includes a dial indicator for accurate stock removal to maintain wall tolerance and accurate fade out of transition to pipe I.D. It is the tool of choice by the following pipeline companies: Enbridge (US), Inc., Matrix NAC, US Pipeline, Rockford Corporation, Price Gregory, International, Minnesota Limited LLC, Brieser Construction Co., Michels Corporation and Corval Group. 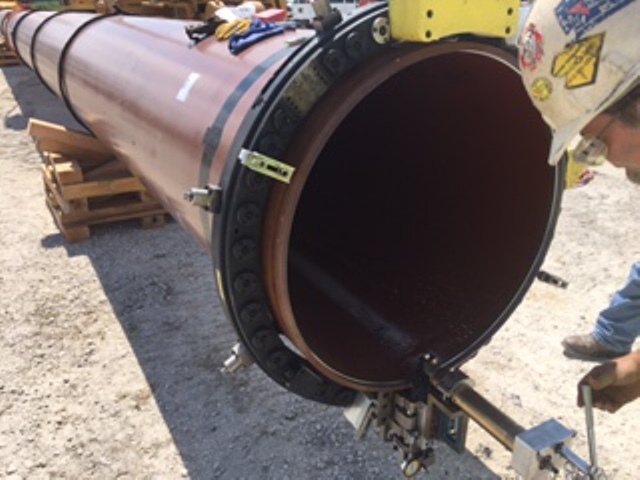 The MTI Power designed and manufactured equipment has been successfully used on the Spearhead South, Spearhead North and Southern Access expansion. The equipment is currently being used on the Sabal Trail, Florida South East Connection line. Visit www.youtube.com/user/mtipowerservices to learn more.